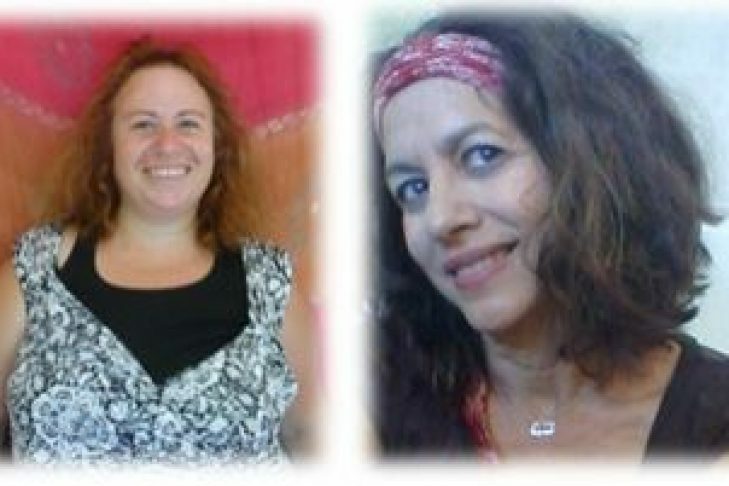 Please join us for a powerful talk and dialogue with two Israeli women, Effie Ashiri and Nitsan Joy Gordon, who are using the creative tools of Playback Theatre, Dance/Movement and the Art of Listening to enhance the possibility of Peace in the Middle East. Effie Ashiri and Nitsan Joy Gordon have been using Playback Theatre and an approach called “Beyond Words” to build bridges across the divide of prejudice and violence between Arabs and Jews living in Israel. The beautiful process they have created helps in releasing pain related to the conflict, opening the hearts of the diverse participants and audience and enhancing understanding and empathy to the story of the other. This program is free and open to all. It is sponsored by The Israeli Committee of Temple Emunah.